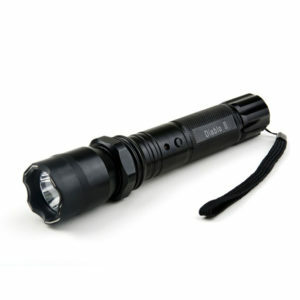 The powerful and durable Katana rechargeable stun gun flashlight, now in Prym1 Edition. 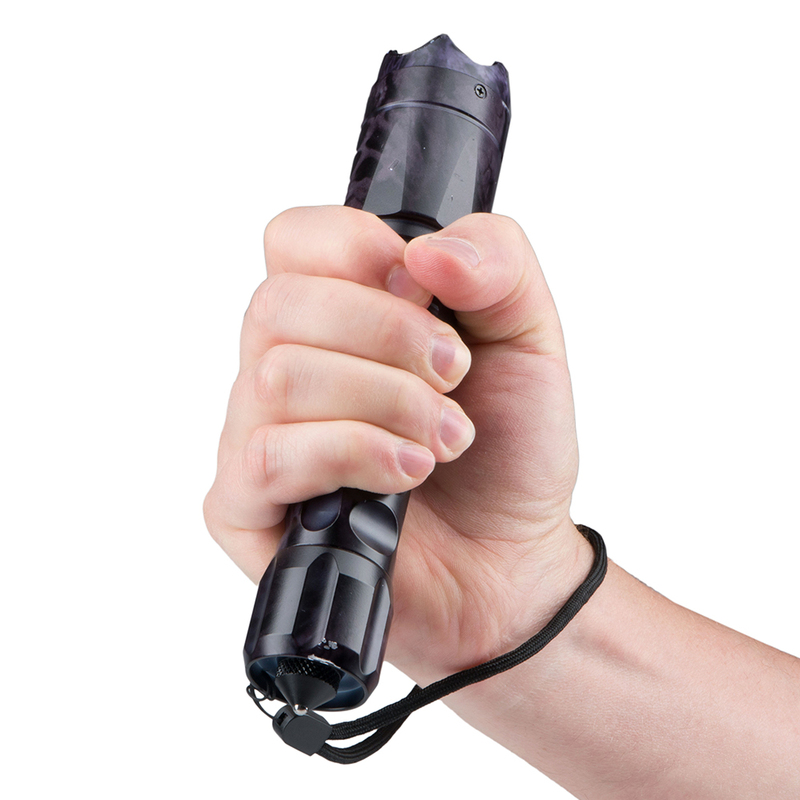 Its volt-trashing stun gun is a push-button away, loud enough to scare off any attackers before they approach and strong enough to incapacitate any assailants! The Guard Dog Katana is expertly designed for self-defense and survival option, undoubtedly one of the best self-defense gear in the market today. 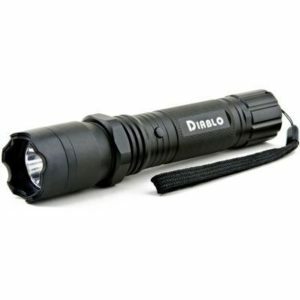 It is the first tactical flashlight and concealed stun gun for self defense or glass breaking with a steel-point tail cap. 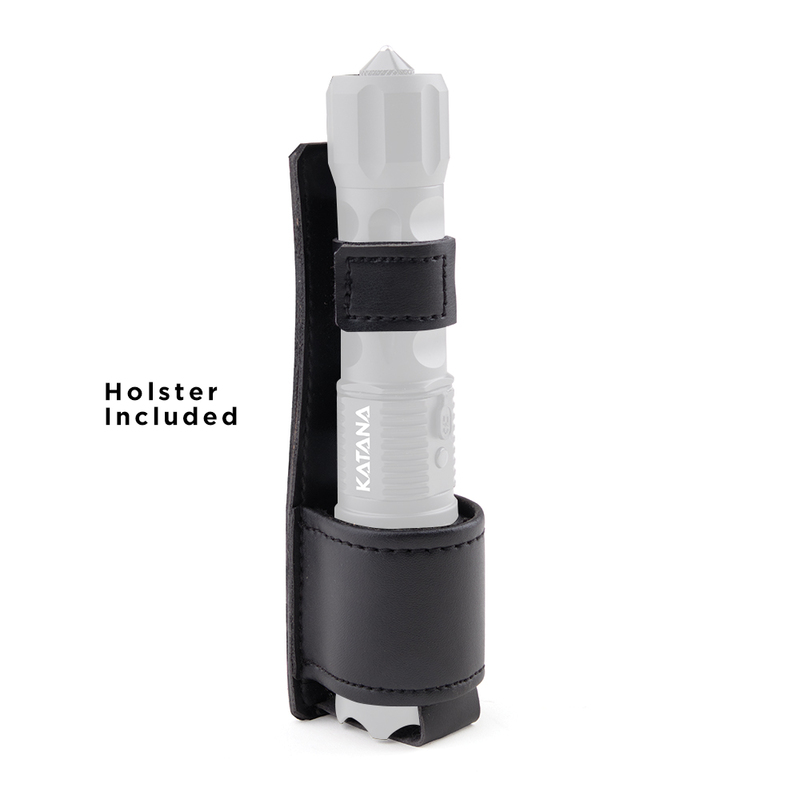 The Katana self-defense equipment can withstand high pressure situations as it is made with durable and shatterproof aircraft grade aluminum. 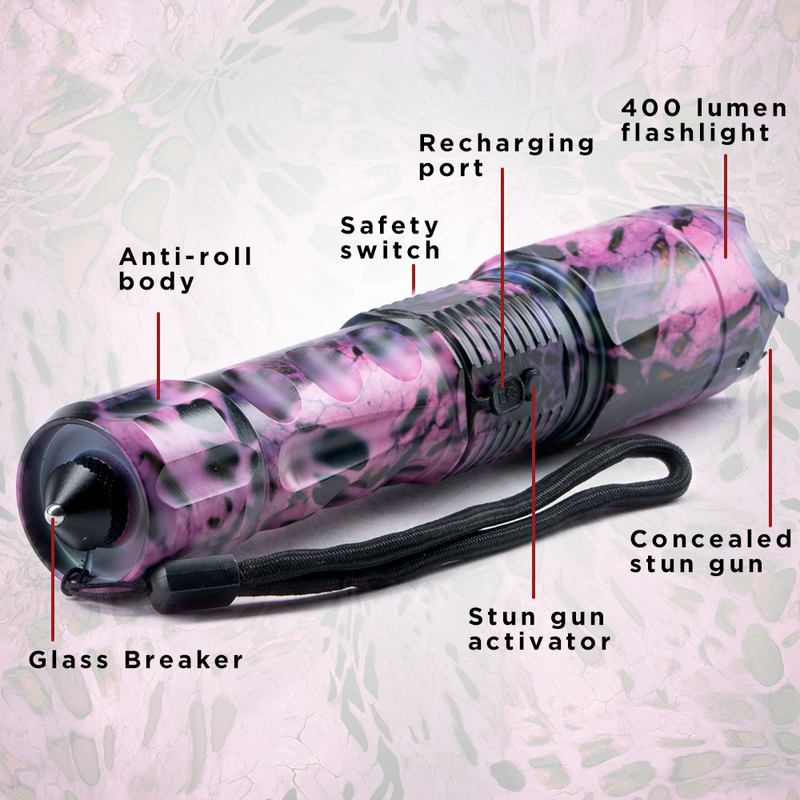 The self-defense stun gun is also made with comfort in mind. 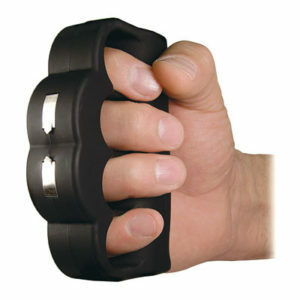 It has a contoured hand grip for easy and fast one-hand operation. 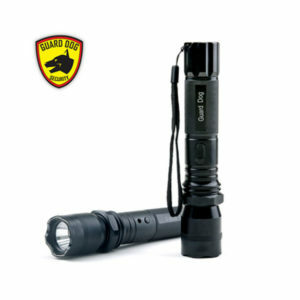 The Guard Dog Katana is a legal self-defense weapon that shines 400 lumens of light, which can reach up to 400 yards. 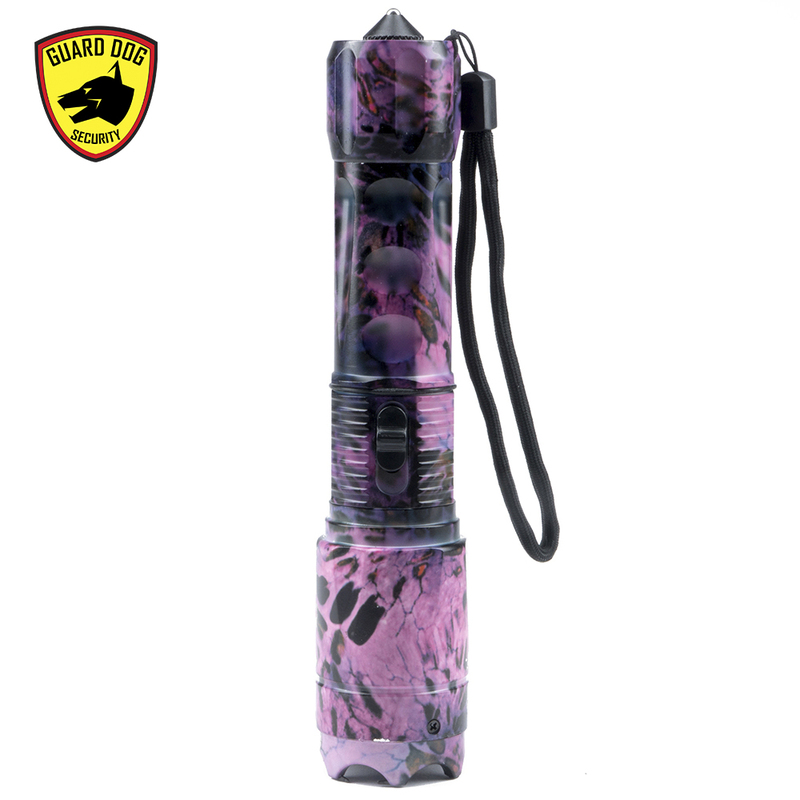 The concealed stun gun hidden within the front bezel is capable of incapacitating an assailant. 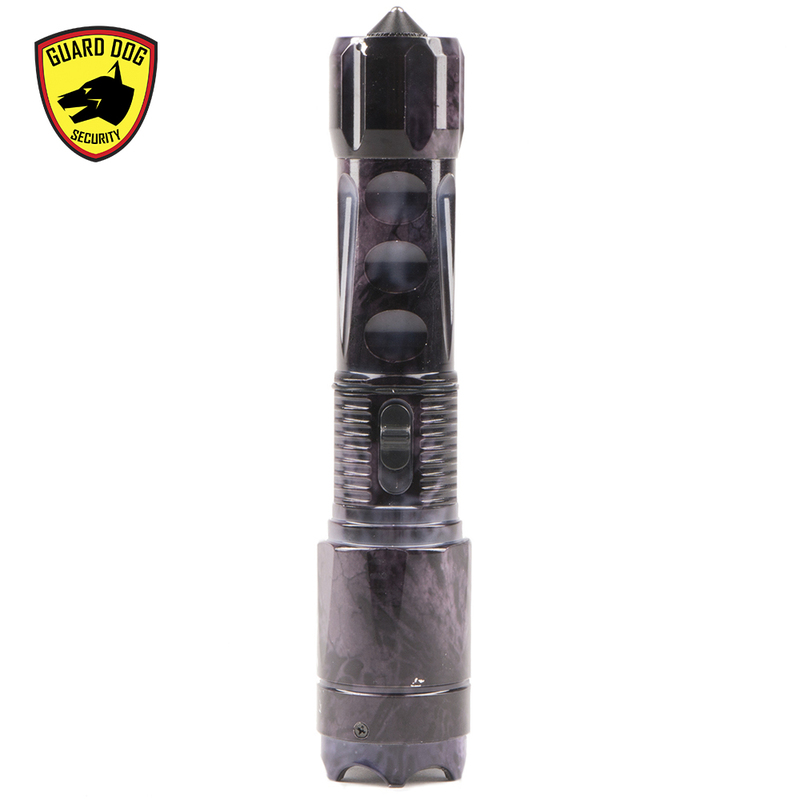 No visible prongs, thanks to the Guard Dog’s Concealed Inner Stun Technology ™. 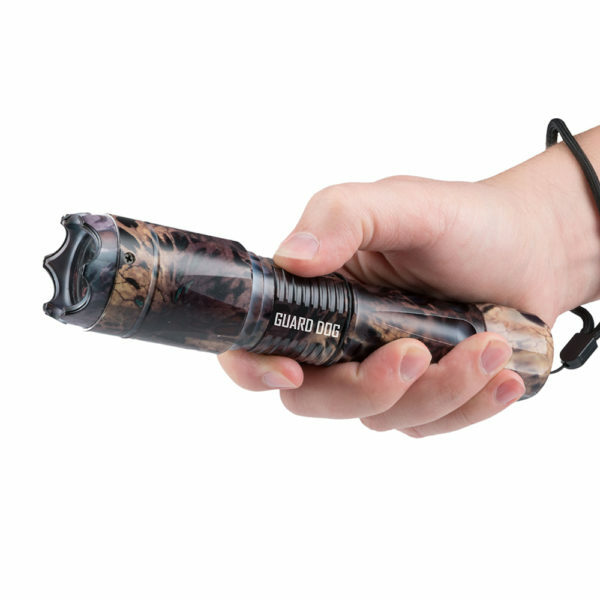 The home defense weapon Katana has dual charging capabilities. It can be charged in the car or at home. 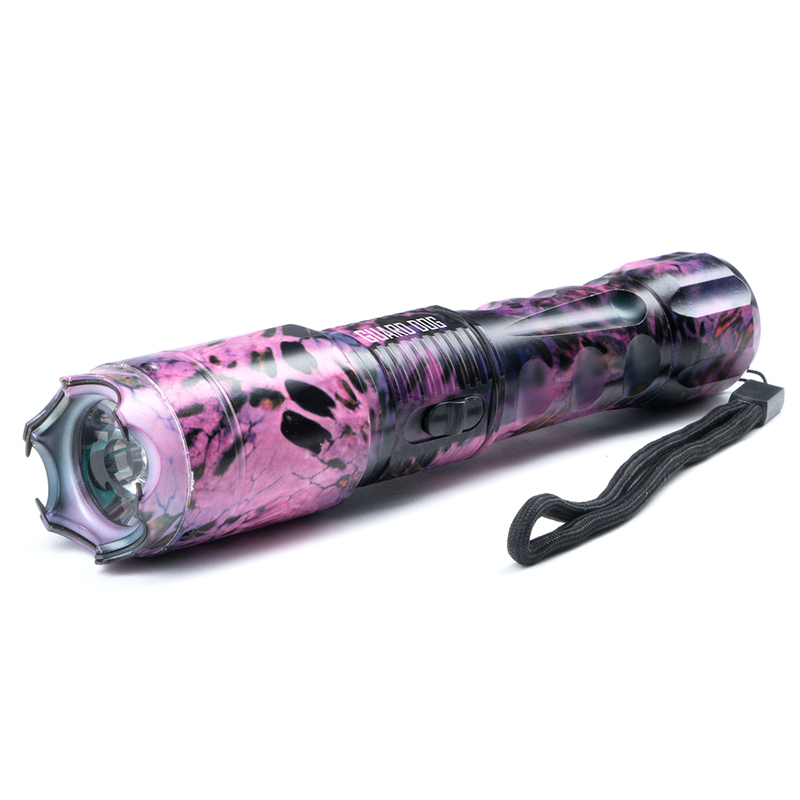 The best upgrade to your daily flashlight is the personal protection weapon Guard Dog Katana, which is a tactical flashlight with 400 lumens of light and a concealed stun gun with built-in tail cap for self defense or shattering glass. 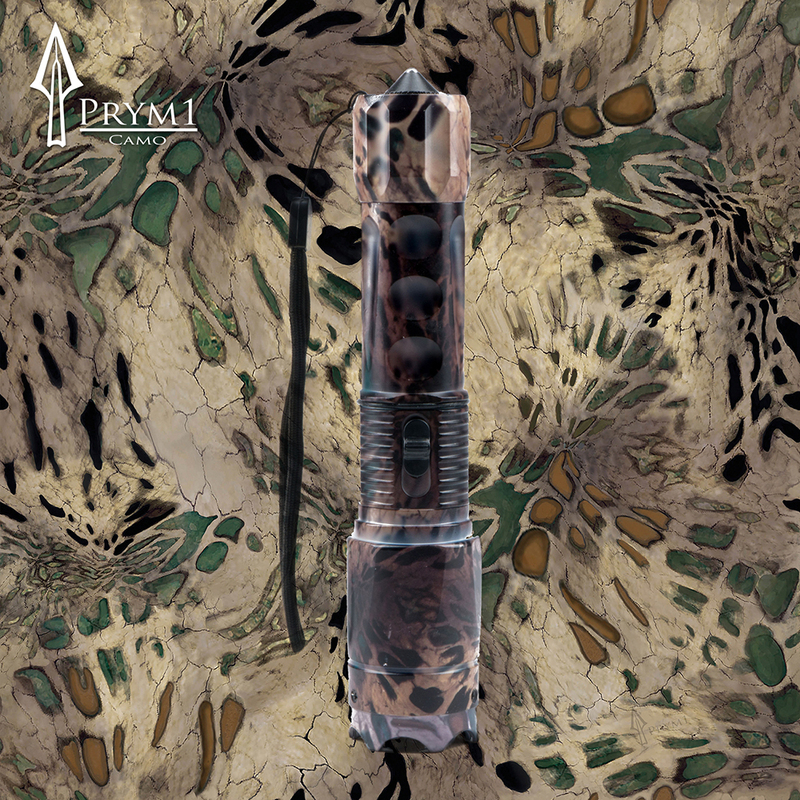 Prym 1 Edition: Prym1 camouflage is uniquely designed with organic shapes rather than the traditional stick and professionally made to create a 3D appearance on a 2D surface. 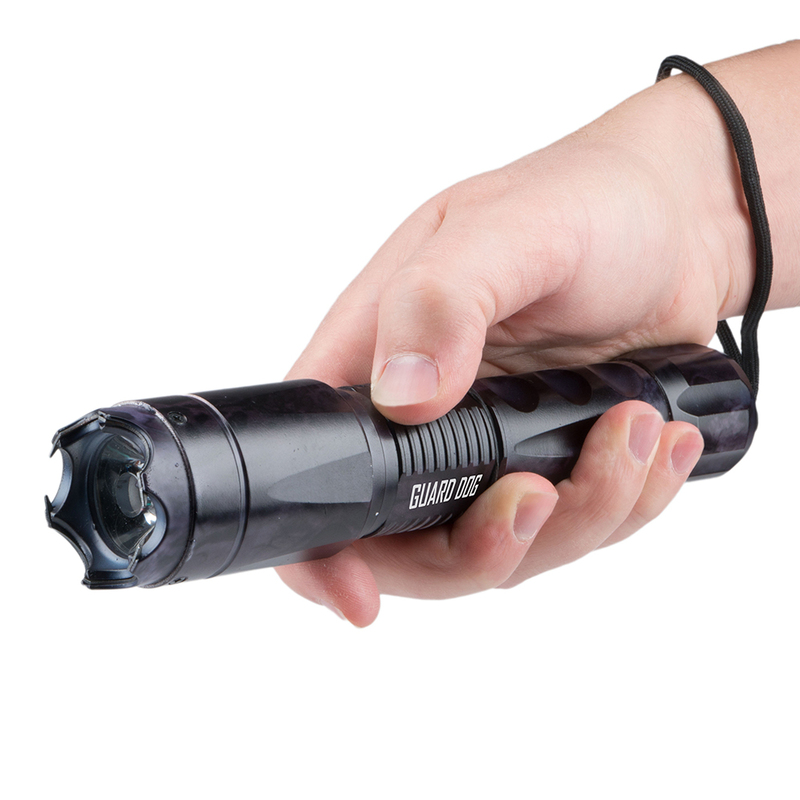 High voltage stun gun: It just a push-button away with a loud high voltage sound to scare off any attackers before they approach. 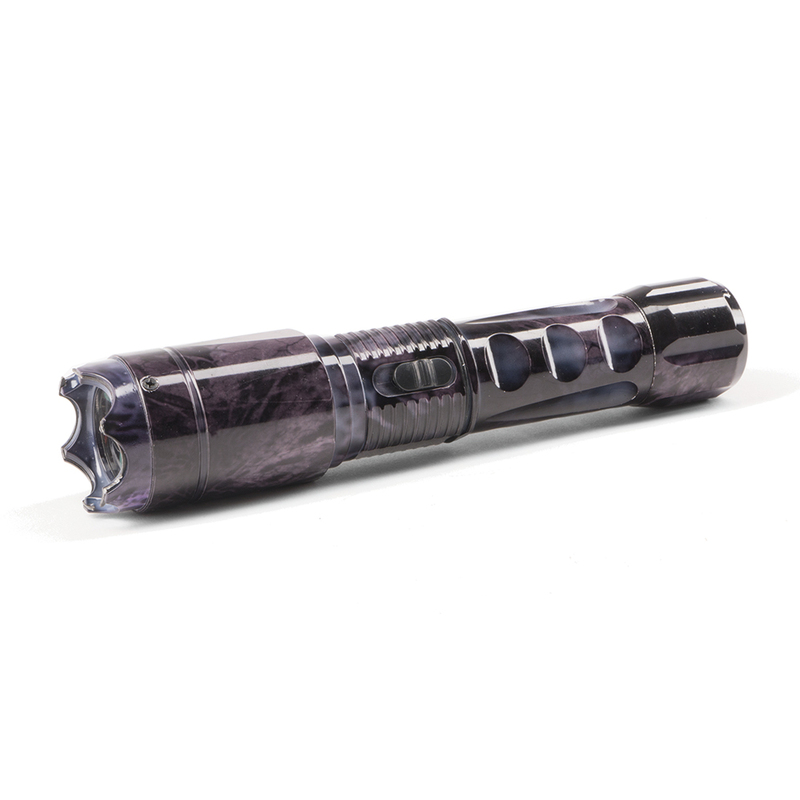 Concealed stun technology: Exclusive concealed inner stun technology ™ – No visible probes: Guard Dog’s exclusive Concealed Inner Stun Technology ™ hides any visible prongs within the outer layer of the flashlight for practical purposes and daily use of the flashlight. 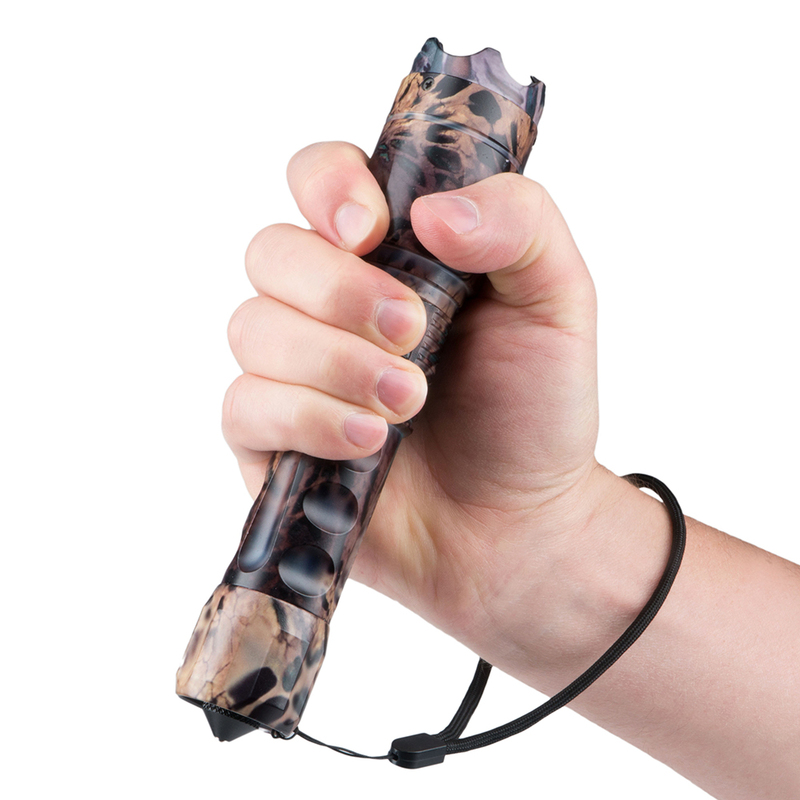 Tail striker cap: This premier survival feature is perfect for glass breaking and self defense implications. 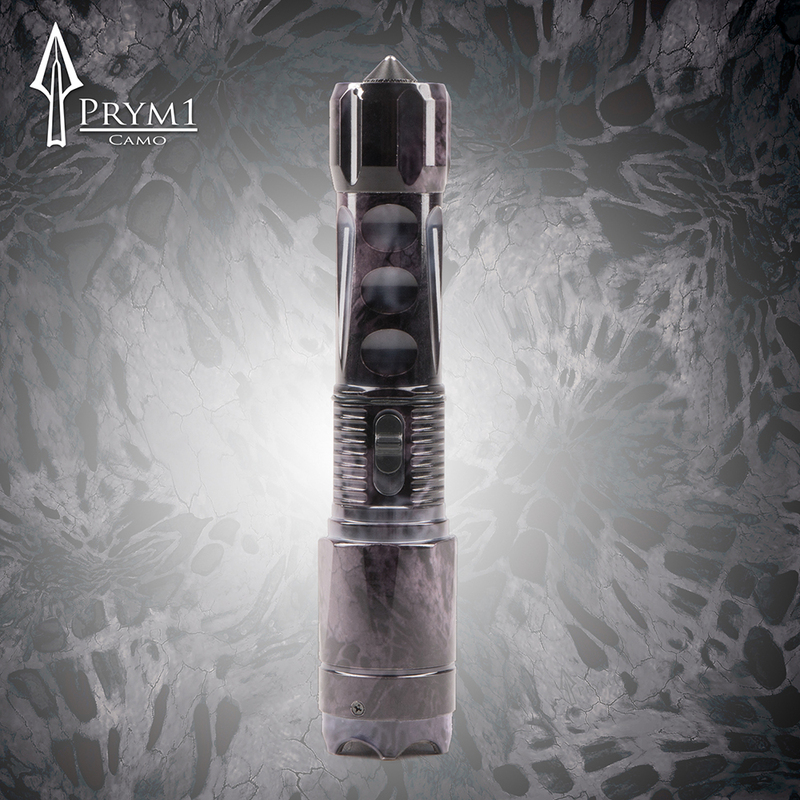 Sturdy build: The type III aluminum, aircraft grade body allows durability and longevity. 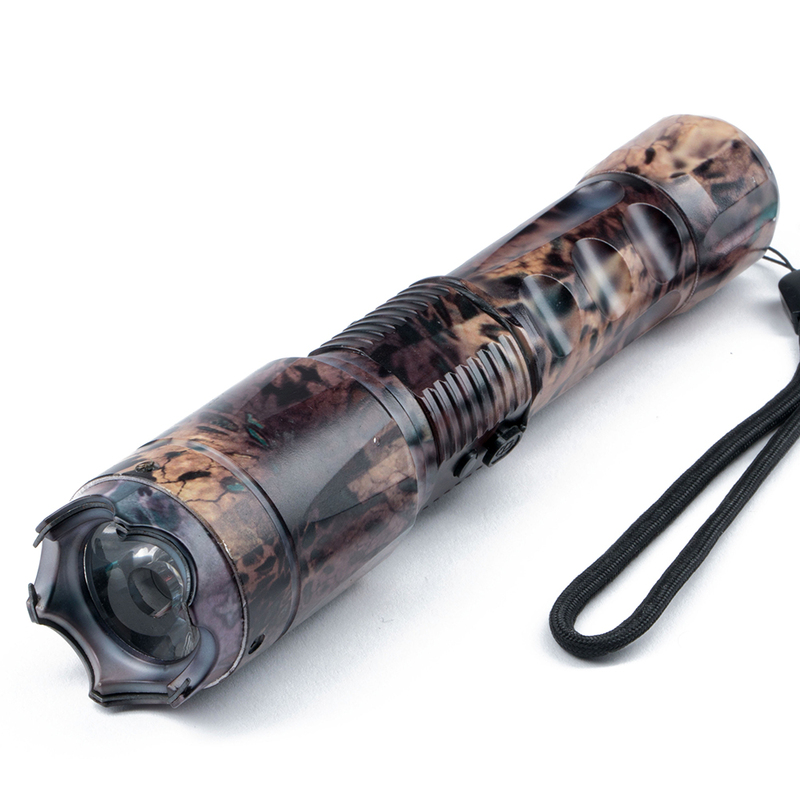 Long lasting: The enhanced CREE bulb in the device is the brightest flashlight in the market with 100,000 hours of bulb life. Dual battery charger: Dual battery charger allows charging at home or in the car. 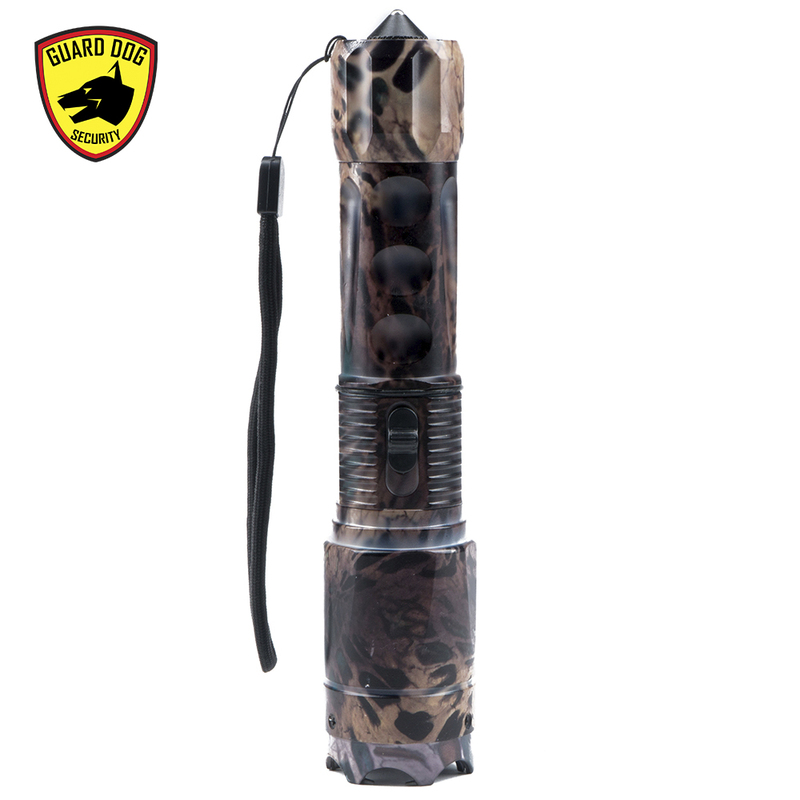 Includes wall charger, car charger lithium ion battery and car charger. 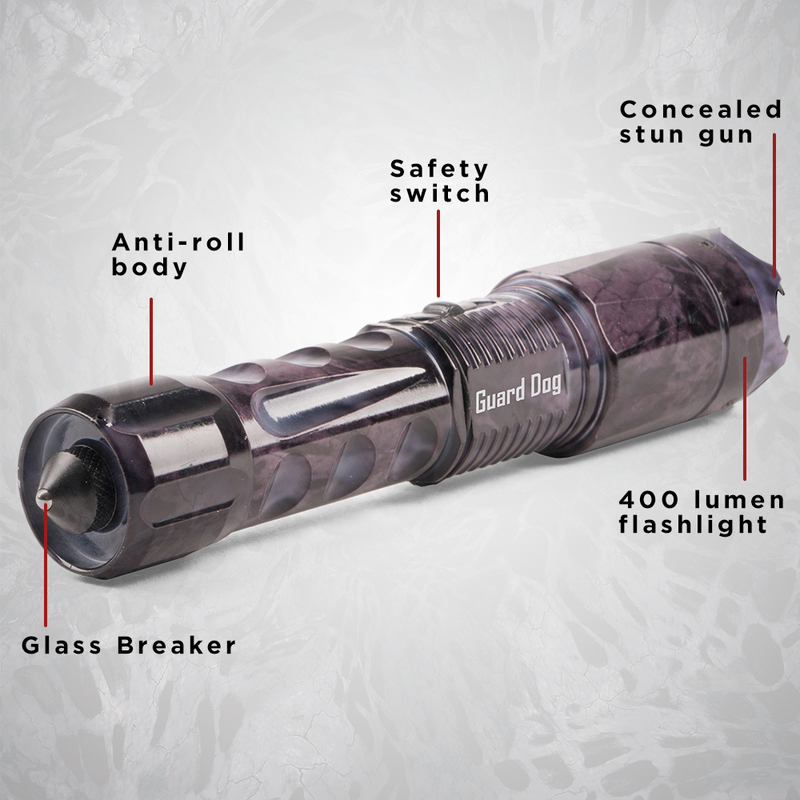 Safety features: Features on/off safety switch to prevent accidental discharge and enhanced aluminum reflector system.